Browse our inventory of quality hardwood flooring! BIG enough to complete any job, SMALL enough to care for every job. We provide floor covering products and services to residential, commercial and building industries. No custom job is too big or small for us to complete! We are also a carpet dealer for the Winston-Salem, NC area. If you want to experience our variety of hardwood floors, we suggest you come by to get a good look at our different wood species. We are confident we will have something that will enhance the design and value of your home. If you want a new look for your room, changing the wood flooring could have a tremendous impact. For your flooring solutions, give us a call today! 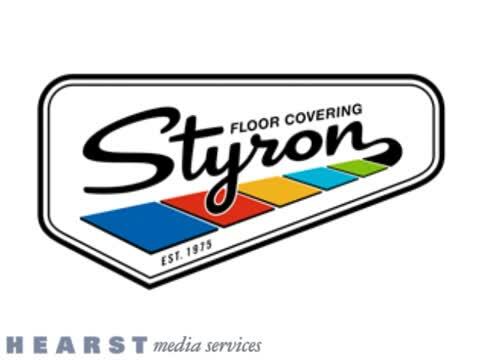 Styron Floor Covering has over 35 years of experience providing quality products and installation for residential and commercial carpet, hardwood, tile and vinyl flooring. Our floor and carpet dealer is conveniently located on Burke Street in Winston Salem, Styron’s Floor Covering works with homeowners, interior designers and builders with open communication, excellent customer service and a wide selection of the most popular flooring available today. Though we are located in Winston-Salem, North Carolina, we serve all of Forsyth County. Let us be your go-to carpet dealer and hardwood flooring provider! Visit our extensive showroom in Winston-Salem, NC for quality hardwood flooring! The cost of quality hardwood flooring is an investment in your home. Deciding which kind of flooring is right for you is a big decision, but it can be extremely helpful in the long run to take your time in choosing. When you purchase quality hardwood flooring, you gain a return on the value of your home. Trust Styron Floor Covering to help you pick out the quality hardwood flooring that fits your individual needs today! One trip to Styron Floor Covering’s showroom and you will find a huge selection of styles, colors and textures from all the major flooring companies. If you don’t see exactly what you want, just let Alan or Ron know, and they’ll special order it for you or help you find an alternative! Enhance your home with our quality hardwood flooring! Are you planning to upgrade your old floor? Is your floor damaged beyond repair? Give your home a classic look and feel by choosing hardwood flooring. We offer floor installation services for both homes and businesses in Winston-Salem, NC and the surrounding areas. We can replace your old floor at a great price. If you are interested in learning more about our quality hardwood flooring, call us today. Styron’s Floor Covering provides a huge selection of flooring materials and styles including quality hardwood flooring, eco-friendly cork flooring, ceramic tile, marble & granite tile, carpet, laminate flooring, linoleum flooring and many other green products that add value and are environmentally responsible. Styron Floor Coverings offers a great selection of carpet choices. We have several different styles and colors available in our showroom. New technology can produce multilevel loop and cut-loop patterns allowing diamond, bow, pin dot or fleur-de-lis designs that “pop out” in sculptured effects. Our specialists are always available to answer your questions as well as provide expert advice on carpet styles and colors. Bring in a picture of the room(s) you want new flooring in and we can make recommendations based on the room's style and color scheme. We are practically famous for our great collection of carpets! Is your carpet old and worn out? Are you looking to replace your old flooring? No matter what your needs are, we have the right options for you. At our carpet dealer, we have the choices for both homes and businesses. We serve customers in Winston-Salem, NC and the surrounding areas. Visit our extensive showroom today to browse our flooring options and speak to a carpet dealer. The texture, colors and pattern of the carpet can complement or contrast with patterns of your furniture and window treatments. Using a solid color, textured carpet is a great way to provide depth of design and interest, without using a multicolor or overall pattern. Textured styles also fit well with today’s active and casual lifestyles. Carpet is excellent in colder climates, because it retains warmth and also helps to conserve energy. Carpet also provides a comfortable place to sit, play or work and gives a room an overall warmer and cozier feeling. It is a great option when you have young kids! It provides a soft place to play as well as a soft landing in case of any accidents. You can choose from many thousands of carpet styles and colors to personalize your living space. Carpet can be a neutral foundation, or it can be a focal point with vibrant colors and stronger bolder patterns and textures. The team at Styron’s Floor Coverings is available to help choose the perfect carpet to enhance your homes interior design. Carpet is ideal for cushioning our footsteps, reducing slips and falls and minimizing injuries when falls do occur. It provides safety protection for the whole family, especially for toddlers and older individuals. If all of these positives weren't enough, carpet also reduces noise! Big screen TVs, speaker phones, computers and modern sound systems make our homes and businesses noisy places. Carpet helps absorb these sounds. By adding a cushion pad beneath your carpet, you can reduce noise even further. Carpet also works as a sound barrier between floors by helping to block sound from carrying room to room. When installed on stairways, it can help muffle the sound of foot traffic. Styron Floor Coverings offers a variety of eco-friendly cork flooring, as well as other “green” flooring options. Cork floors are produced from the bark of the Cork Oak tree. The bark is harvested by peeling it away from the trunk and branches every 9 - 12 years without cutting down the tree itself. Unlike other types of trees that may die when they have their bark removed, the Cork–Oak survives and will grow back its bark again within a decade. As these trees can live to 200 years or more it means that the cork can be harvested many times over, which makes it an ideal material for the manufacture of a wide variety of products, the most common being cork floors and wine corks. Not only is our eco-friendly cork flooring great for the environment, it is also an aesthetically pleasing option with its natural beauty! Your new cork flooring can be manufactured to have a variety of different patterns and textures. This makes it much easier to coordinate a specific cork pattern to any color scheme or design style. Eco-friendly cork flooring provides a natural thermal insulation which will cut back on your energy costs. Cork is also naturally sound absorbent, making it the ideal choice for apartments, business environments or other locations that may need a little soundproofing. Cork is also naturally hypoallergenic and antistatic, a benefit for allergy sufferers. The knowledgeable staff at Styron Floor Coverings can help you decide which options are best for you! Hardwood is a wonderful option for any space in any home! It can be warm and inviting, classic and elegant, or simple. There are a wide variety of options to consider, including tone, stain color, grain pattern and type of wood. Styron Floor Coverings offers quality hardwood flooring that will satisfy all of your decorating needs. There are many types of wood available today ranging from dark to light finishes, wide to narrow width planks or a combination of several widths patterned together, pre-finished or unfinished, hard wood to soft. It is important to consider level of durability needed to determine a finish (gloss, semi-gloss, matte or natural) as well as the impact the color of the floor may have on the surrounding décor. Simple, regular care can reduce the need for future refinishing and keep hardwood floors looking good. Remove sand and dirt to prevent scratching. Wipe of liquid spills promptly. Liquids can stain wood as well as damage them. Use anti-static dust mops to collect dust and dirt. Dry floors completely after regular washing. Tile is available in many forms including ceramic, porcelain, granite, marble and more. It is durable, easy to clean, and can enhance the décor of many rooms. Proper installation is critical for durability. Some tile is porous and can be stained and therefore need a sealant, while others are extremely care free and require little maintenance beyond routine cleaning. Talk with the professionals at Styron’s Floor Covering about the amount of traffic, uses and options available to ensure you are choosing the best tile for the environment. We are the premier carpet dealer serving the Winston-Salem, NC area! Styron Floor Covering – the only place to go for all your flooring needs. to do the job right the first time. 35+ years of experience counts! Shaw, Mohawk, Coronet, Armstrong, Congoleum, Mannington, Tarkett, Nafco Dura Ceramic, Perma Stone, Bruce, Robbins, Hartco, Harris Tarkett, Century, Carolina, Hardwoods, American Olean, Florida Tile, Dal Tile, Interceramic, Marazzi.All major brands. If we don't have it - we can get it.